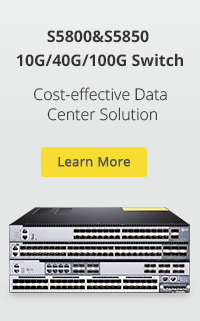 ← How Does Fibre Channel Work? There are various kinds of fiber optic cleaning tools in the market nowadays. In the previous post “Cleaning Tools for Fiber Optic End-face Cleaning” we have presented the importance of cleaning and several kinds of popular tools for fiber optic cleaning in the modern fiber optic systems. MPO/MTP connector and adapter is a multi-fiber assembly that is widely used in today’s parallel and high-density network cabling. Just like other fiber optic connectors and adapters, such as LC, SC, FC, etc., the end-face of the MPO/MTP also requires to keep clean in order to ensure the best optical performance. Since the MPO/MTP is special, there is a specific cleaner for MPO/MTP cleaning when you choose the one-push pen type. 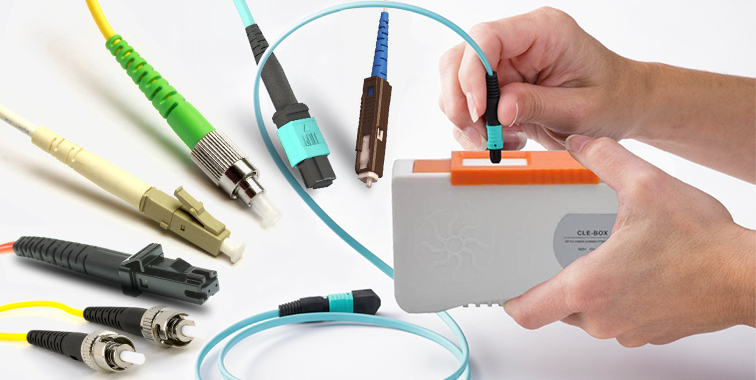 Of course, if you just need to clean the MPO/MTP connector, the fiber optic cassette cleaner may be a better choice that it can support cleaning for almost all kinds of fiber optic connectors. One-push cleaner, as an easy to use fiber cleaning tool, becomes a necessity for both installers as well as fiber optic technicians and troubleshooters. The most commonly used one-push cleaners are 1.25mm cleaner and 2.5mm cleaner, as well as MTP/MPO cleaner. The 1.25mm cleaner is usually used for LC, LC secure keyed and MU connectors cleaning while the 2.5mm cleaner is used to clean SC, ST, FC and E2000 connectors with either UPC or APC polished ferrules. The MTP/MPO cleaner is mainly used for MPO/MTP based connector cleaning. Some MPO/MTP cleaners can also be used to clean both flat polished multimode and 8° angled single-mode MT ferrules. A common type of one-push cleaner for MPO/MTP is shown in Figure 1. It consists of several parts including the thumb wheel, cleaning head and protective cap. One-push MPO/MTP cleaner can be used to clean multimode and single-mode (angled) MPO/MTP connectors, MPO/MTP connectors in adapters, exposed MPO ferrules, and so on. Without the use of alcohol, just a easy one-push operation, it can help user to clean a variety of contaminates on the end-face efficiently. Figure 2 shows the cleaning details of a one-push MPO/MTP cleaner. Fiber optic cassette cleaner is an ideal choice for fiber connector cleaning. 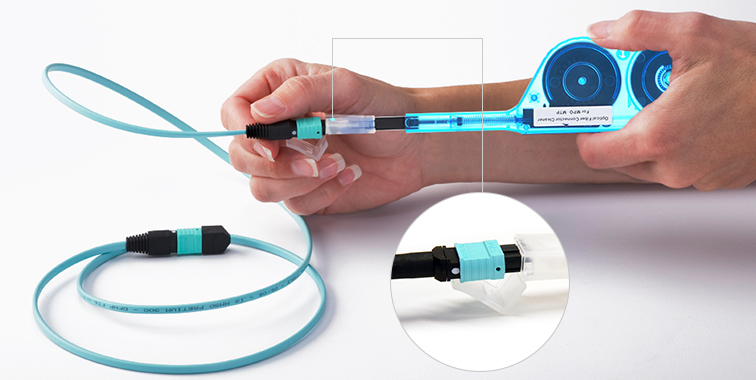 Because it is designed for effective cleaning of almost all fiber optic connectors with an accessible ferrule including LC, MU, SC, FC, ST, MPO/MTP, MTRJ and so on. Fiber optic cassette cleaner uses a densely woven micro-fiber cleaning fabric to remove harmful contaminates off of the ferrule end face. The cleaning tape can be easily replaced with a simple push button shutter operation which greatly help reduce the cost and minimize unwanted dust. Figure 3 shows us the MPO/MTP cleaning with fiber optic cassette cleaner. 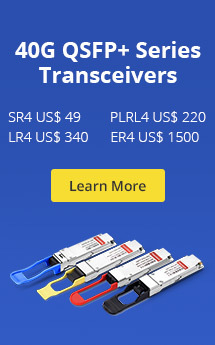 Recently, FS.COM has launched some special offers of fiber optic cleaners. The prices are very favorable, and with an adequate stock. If you have any requirement on the fiber optic cleaner, such as 1.25mm, 2.5mm and MTP/MPO cleaners or the fiber optic cassette cleaners, it may be good options for you. For more details, I recommend you to visit the promotion page. This entry was posted in FIber Optic Cleaning, Fiber Testers & Tools and tagged Fiber Optic Cleaning, one-push cleaner. Bookmark the permalink.